Life is a funny thing – full of ups and downs, great joy and sorrow, heartache and love. A mother’s greatest gift to her child are roots and wings to navigate this sometimes bumpy life and I find myself using these tools more than ever these days. I am grateful to be a mother today but I am even more grateful to the woman who taught me how to be a mother. It’s funny that at age 36, I need her just as much today as my 14 month old needs me. 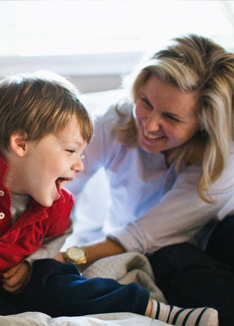 We love you to the moon and back – Happy Mother’s Day! 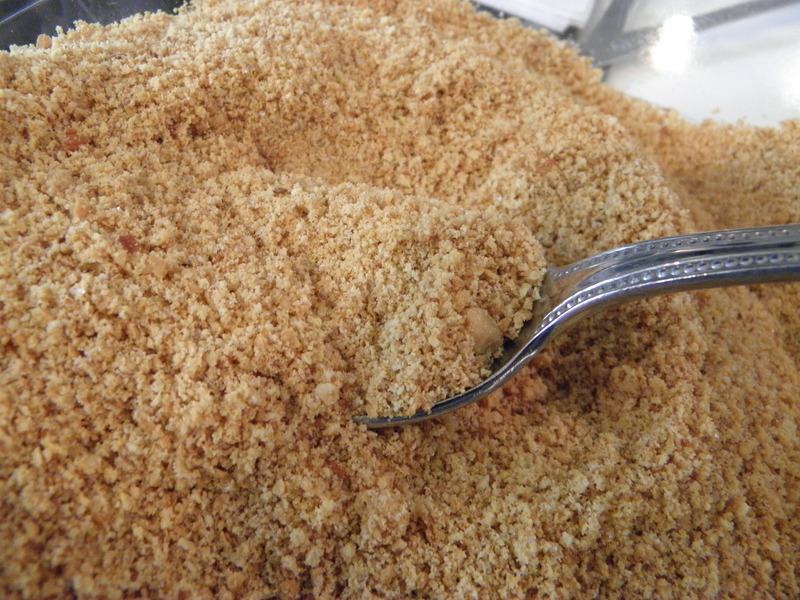 Grind almonds in a food processor until finely ground. 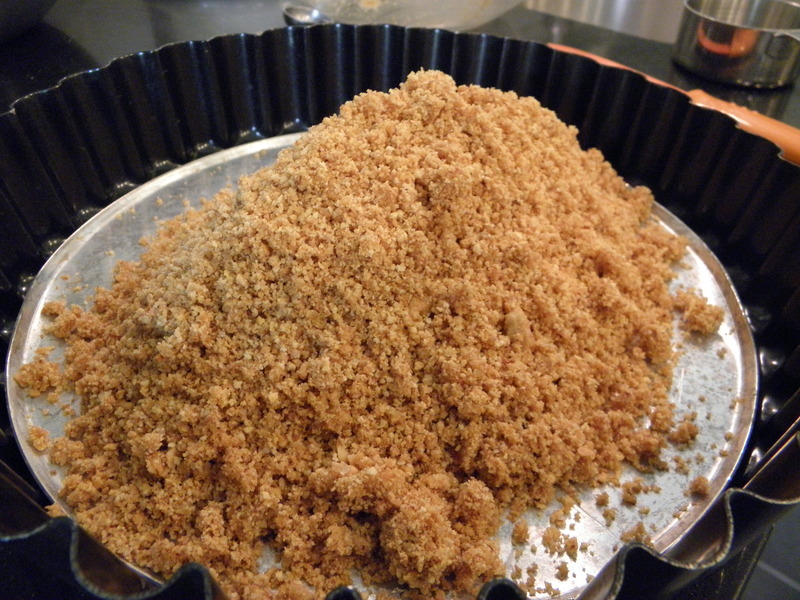 Combine almonds with graham cracker crumbs, sugar, cinnamon and melted butter. 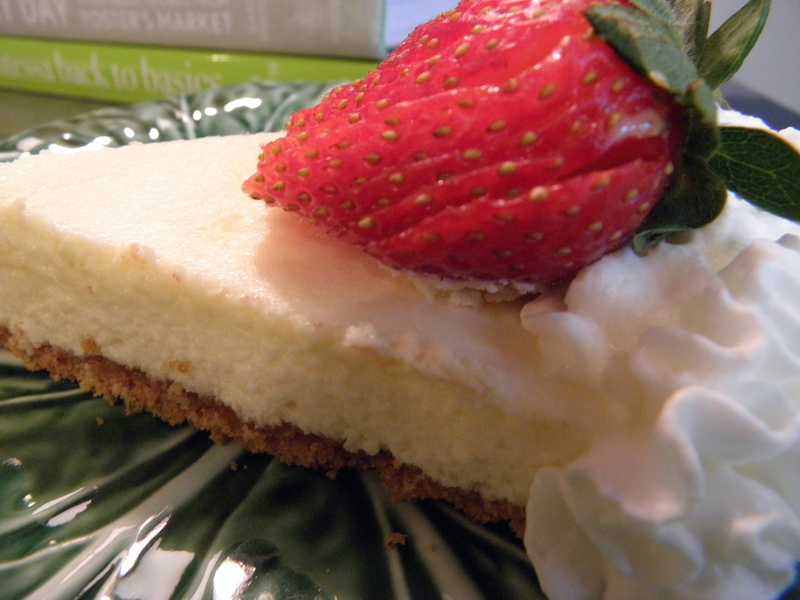 Press mixture into a tart pan with a removable bottom. Make sure to firmly pack the crust down with the bottom of a glass. Bake for 5 minutes and then let cool. 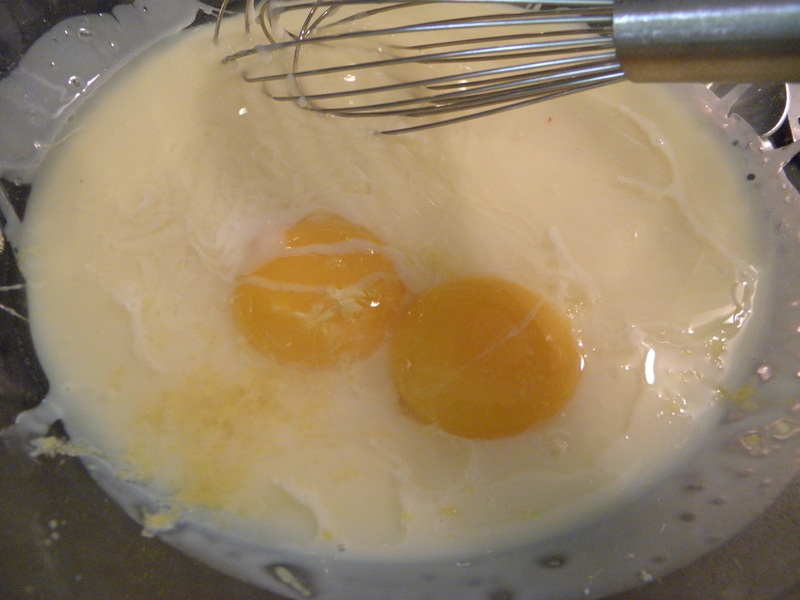 In small bowl, whisk together condensed milk, egg yolks, lemon juice and lemon zest and then set aside. 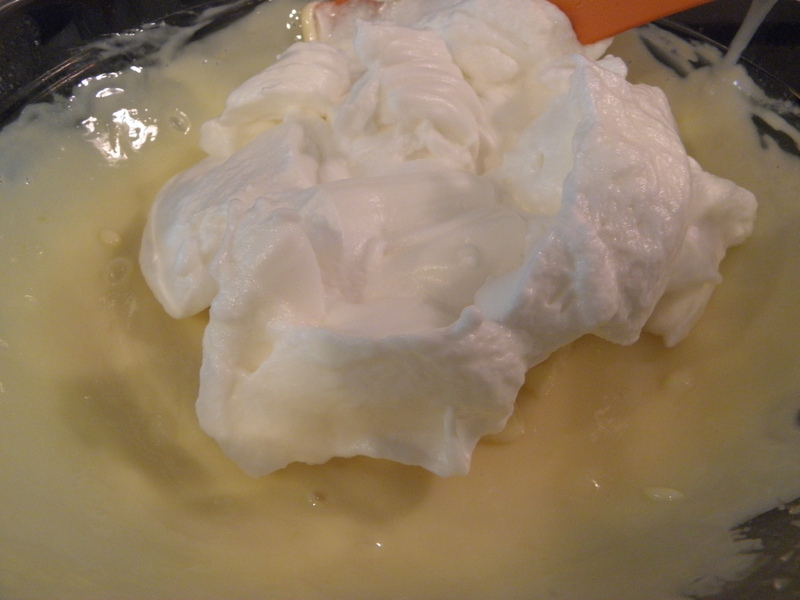 In a separate bowl, beat egg whites and sugar until stiff peaks form. 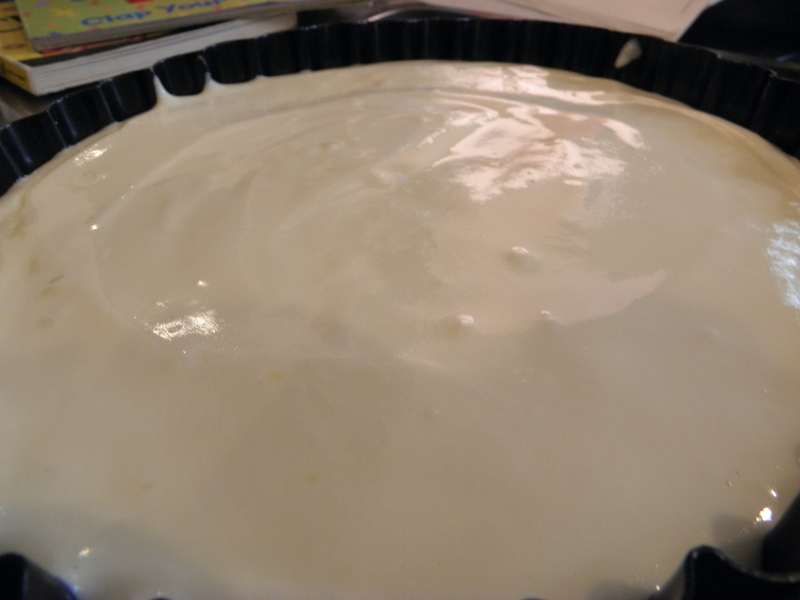 Fold egg whites into the condensed milk mixture and the pour into the tart pan. Bake for 20-25 minutes until center is set. Let cool for an hour on a wire rack and then transfer to fridge and let chill for another hour before serving. 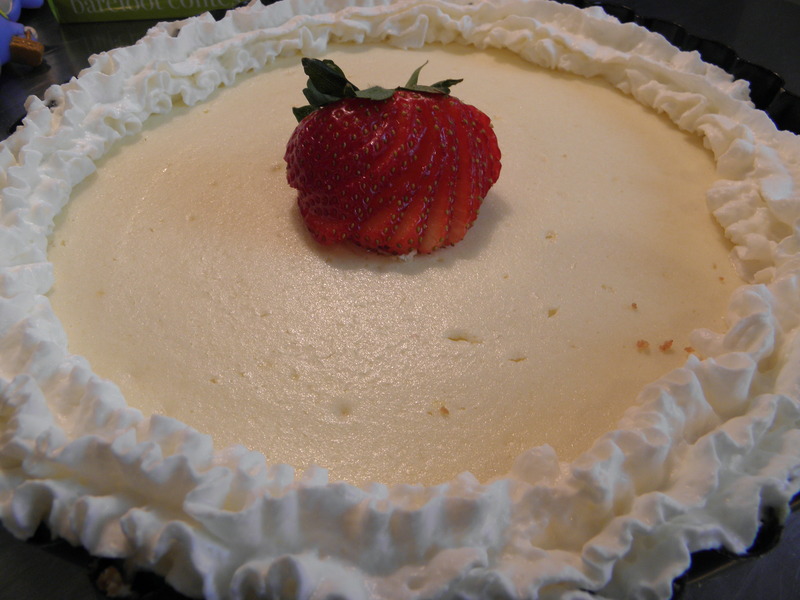 Serve with whipped cream and a strawberry. 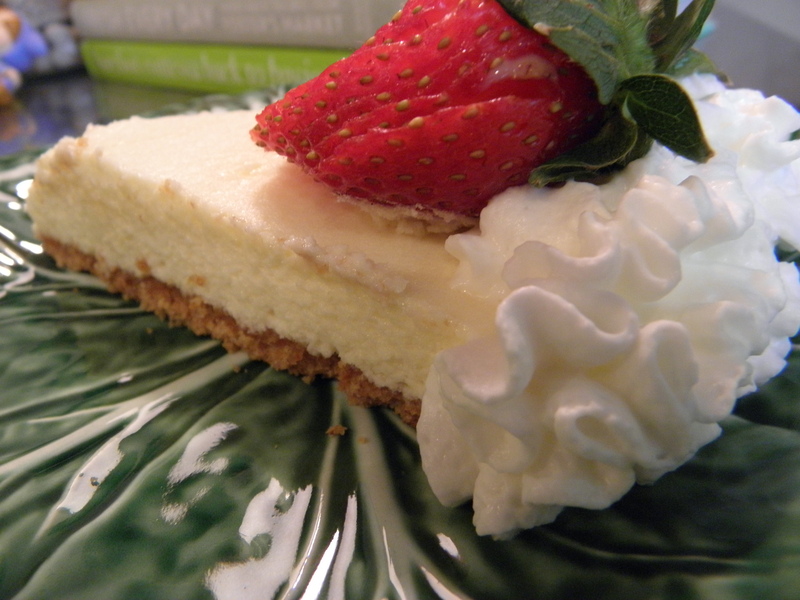 This entry was posted in Sweets and tagged baking, berry, condensed milk, fat free, Food, lemon, pie, recipe, strawberry, tart on May 7, 2011 by lolleigh.